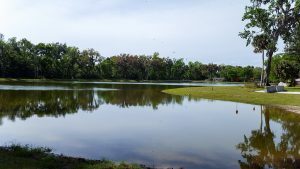 Volusia County and the St. Johns River Water Management District have completed a stormwater improvement project that will improve water quality to the Halifax River and reduce flooding. 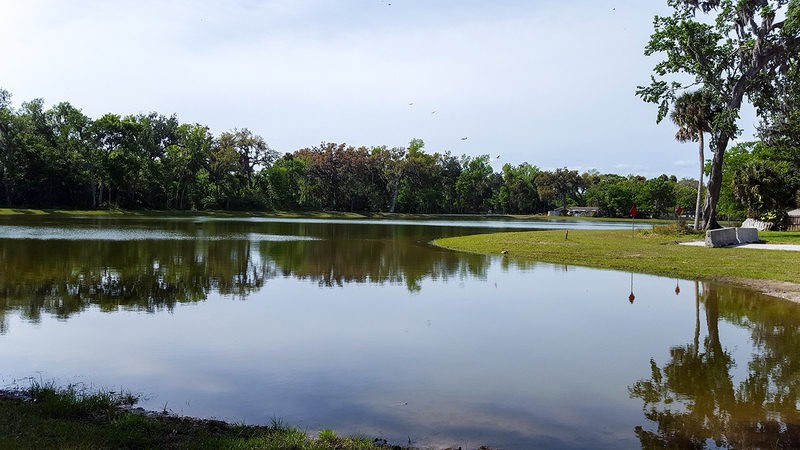 PALATKA, Fla., April 8, 2019 — The St. Johns River Water Management District and Volusia County have completed construction of a stormwater treatment facility that will improve water quality in the Halifax River and reduce flooding to a 129-acre area. The Rio Way Drainage Improvements project included expanding the existing Riveria Oaks stormwater pond and constructing and connecting to a new Rio Way stormwater pond, as well as relocating existing utilities, and modifying the existing control structure to lessen the impacts of extreme storm events and treat base stormwater flows. The district funded $548,000 toward the $1.66 million project, which will reduce discharges of total nitrogen to the Halifax River by 130 pounds and total phosphorus by 35 pounds annually. The Halifax River is a 23-mile-long tidal estuary located on the Atlantic coast near Daytona Beach. For information about district cost-share programs, visit the district’s website at www.sjrwmd.com/localgovernments/funding.